Treat yourself to a day filled with encouragement, laughter, challenges, fellowship and of course, great food! 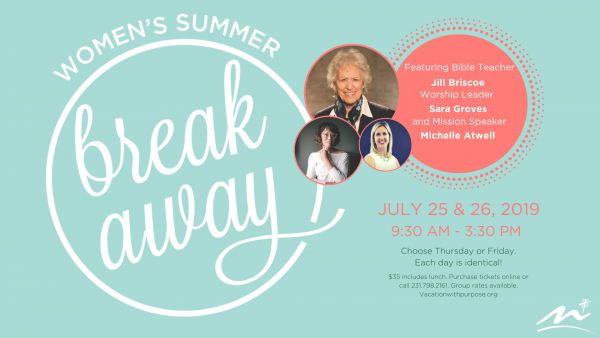 Featuring a full day of Bible teaching with Jill Briscoe, music led by Sara Groves, and Mission speaker Michelle Atwell. (Each day is identical; choose the day that works best for you.) Purchase tickets for Thursday, July 25th or purchase tickets for Friday, July 26th now.